Yummy cupcakes for a 10 year old girl's birthday party. 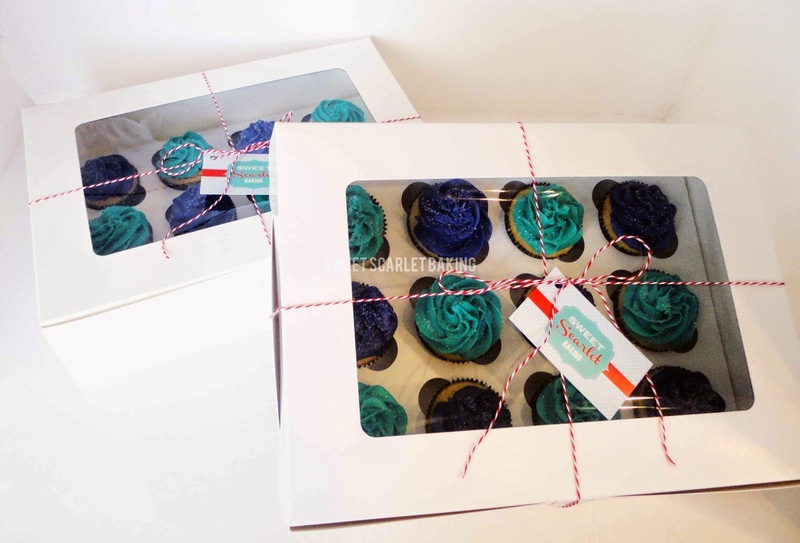 My customer requested that the cupcakes be nut free as some of the party guests had allergies. 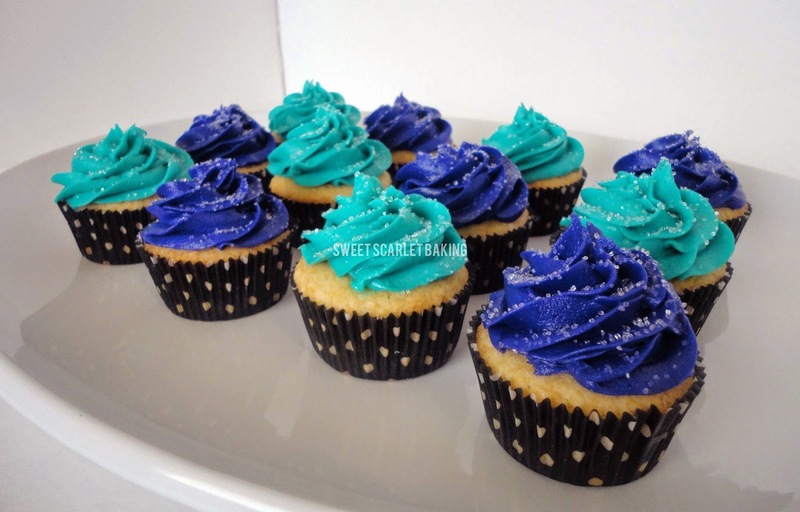 We chose a vanilla flavored cake and vanilla butter cream icing in bright purple and aqua. I added some clear sanding sugar to the tops and make them sparkle.